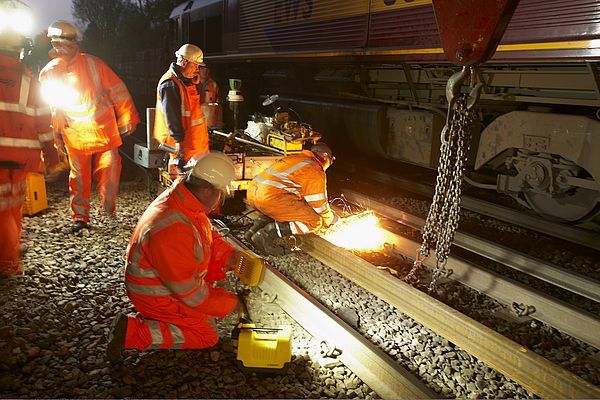 The Advanced Area Lighting Group (AALG) from Peli Products offers a full range of Remote Area Lighting Systems (RALS) bringing portable, powerful, energy-efficient and environmentally responsible lighting technology that are ideal for night-time railways repairs, illuminating construction crews and other needs of the Rail sector. Peli manufacturers a variety of RALS, all of them are an ecological responsible alternative to wasteful generator powered lights. Built with versatility in mind, some models feature 2/4 swivelling multi-position deployable masts (extending to +1.8 m) and 360 degree articulated light arrays. 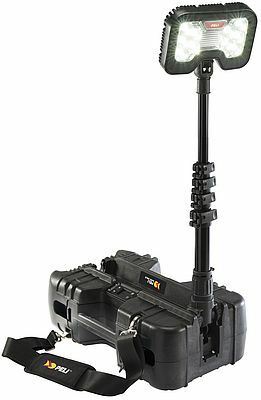 The heads (which feature variable brightness settings) are powered by a 12-volt, sealed, rechargeable battery (maintenance-free, inside the extremely durable Peli cases that usually houses them). Some models, 9460RS and 9470RS, include three additional features from the standard models which are remote control activation, multi-terrain trolley and a 12volt power supply port. Peli also offers a RALS model, 9435, that has been approved by ATEX Cat. 3 (Zone 2) meaning it can be used in hazardous areas. 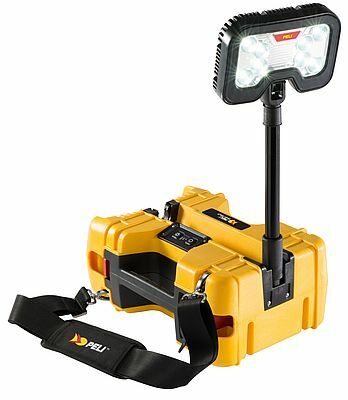 Furthermore, All Remote Area Lighting models are powered by a rechargeable battery. Using the state-of-art of LEDs, some of them feature up to +6.000 lumens of powerful beam of light or a run time of up to 40 hours. Working with them means silent operation, no fumes, light weight (easier manual handling), no trip hazardous cables, no breakable glass components and low operating temperatures. Both RALS are an ecological responsible alternative to generator powered lights. It's a self-contained system easy to set up, rechargeable and with a swappable battery. With an extra battery the user can double run time.